Not necessarily, and unfortunately, the answer is “it depends.” Without a compelling reason, such as physical violence, you and the opposing party will need to coexist in the marital home, even after you file for divorce. The good news is that you can get a court hearing set with the Judge to determine who will reside in the home while the case is pending. In family law, the typical first step after initiating a lawsuit is to get Temporary Orders put in place. These orders ensure that everyone abides by the same set of rules while the case is pending. 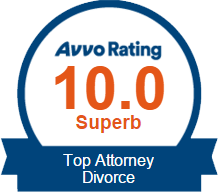 Temporary Orders can be granted in a divorce, original custody proceeding, modification of a previous order, or in termination/adoption suits. Until these orders are entered or ruled on by the Court, it can be the Wild Wild West among parties, with no set possession and access schedule for the children and no one having exclusive use of the marital home. Even parties that are getting along during the initial separation can benefit from Temporary Orders. 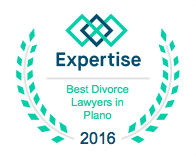 A family law case can take up to a year (on average) to be completed in Collin County or longer if you live in Dallas or Denton Counties. The Temporary Orders hearing is everyone’s first look at the arguments and general allegations in the case. The Temporary Orders set the tone for the case and are unlikely to drastically change at final trial or during the negotiation process. Parties’ debts are clearly defined to protect the marital estate from harm. If there are concerns about the children’s well-being, guidelines will be established to safely keep the parties in the children’s lives. If there are concerns about a party not maintaining an active role in the children’s lives, Temporary Orders can give that party an opportunity to prove how much or how little he or she will engage with the children. If the parties are not in agreement regarding conservatorship and/or possession of the children, a child custody evaluation can be ordered to help guide the Court in its ultimate determination. It is not necessary for the parties to attend a court hearing to accomplish Temporary Orders. Parties can come to an agreement either through informal settlement negotiations or through mediation. 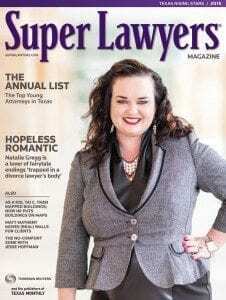 The attorneys at the Law Office of Natalie Gregg, however, strongly encourage our clients to get Temporary Orders in place to limit possible disagreements about payments of bills, the children’s schedule, and the use of property while the case is pending. Any health issues that need to be addressed for the parties and/or children.